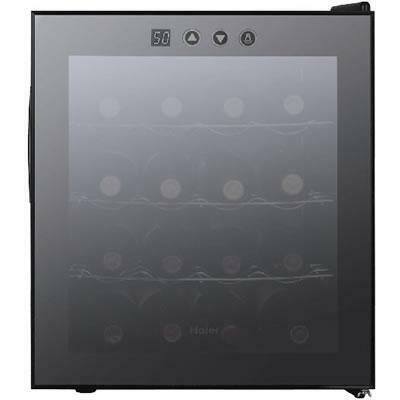 Keep up to 16 bottles of your favorite red or white wine in this compactly designed wine cellar with electronic controls. 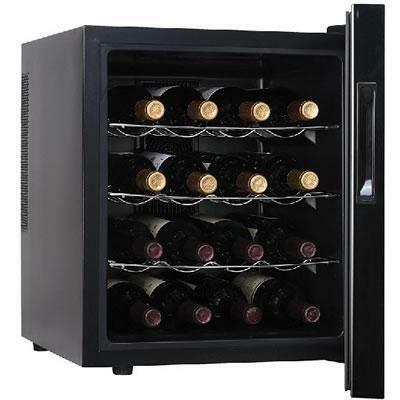 Keep your wine at optimum temperature with automatic settings for reds and whites. 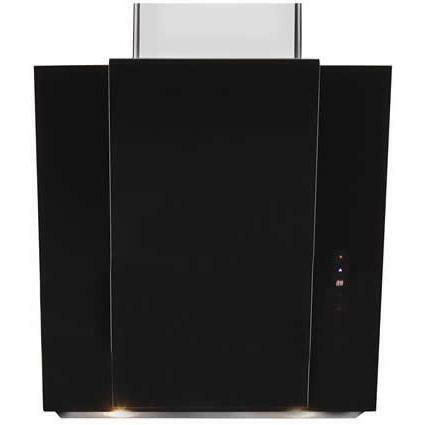 This model features an adjustable electronic temperature control with LED display, and a double pane insulated glass door. 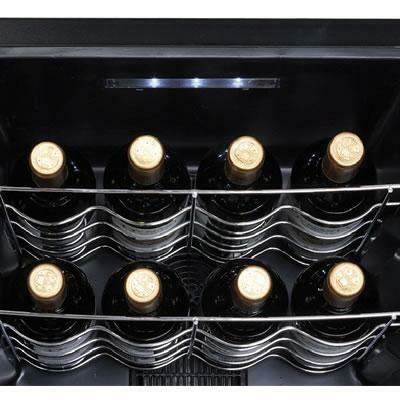 Three full-width chrome storage racks store your bottles in style while a thermoelectric cooling system provides a vibration-free environment. Additional Information Rear ventilation. Thermoelectric cooling method. Temperature Setting Range (°F): Zone 1 46-64. 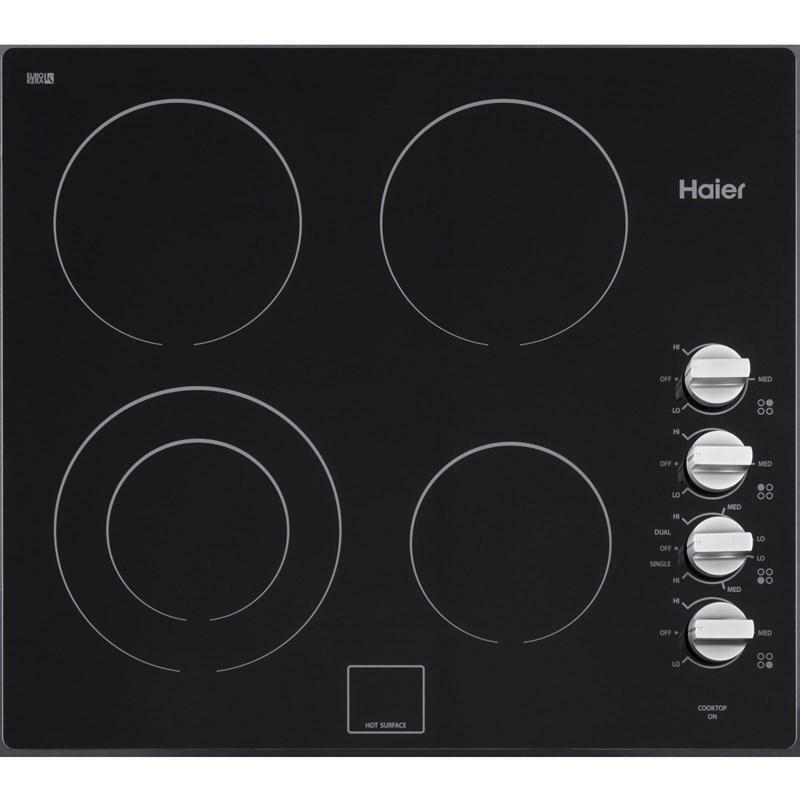 Electronic Touchscreen control. Blue LED: temperature display. Chrome Wavy Wire Storage Racks. ETL safety approval. 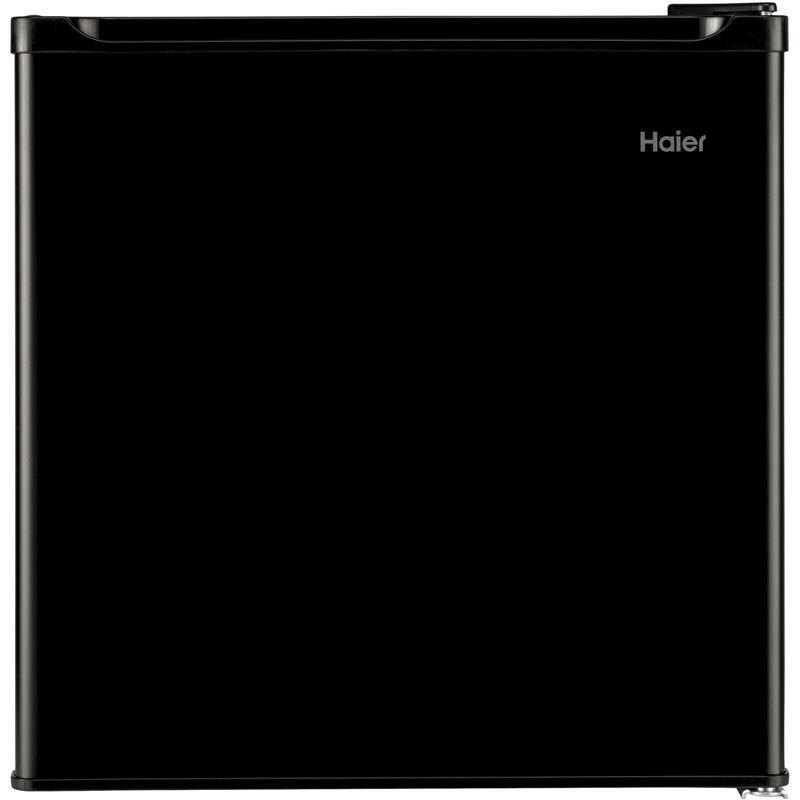 Haier 1.7 cu. 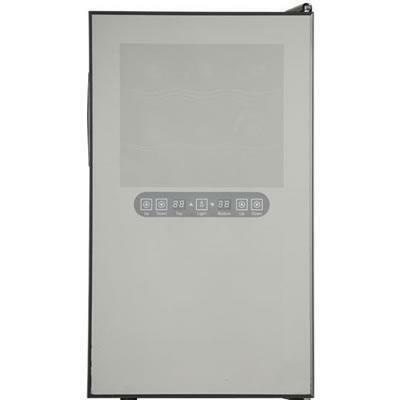 ft. ENERGY STAR qualified compact refrigerator. This refrigerator features a 2-liter bottle door storage, a half-width freezer compartment and full/half-width door storage. Total: 1.7 cu. ft. / 0.05 cu. m.